Veteran cinematographer Frank Byers (“Twin Peaks,” “Boxing Helena”) is set to direct an indie remake of Jean-Luc Godard’s 1965 film noir “Alphaville,” TheWrap has learned. Studiocanal and the director’s Ville Productions are teaming on the project, which was written by Franc. Reyes (“Empire”). “Alphaville” follows Lemmy Caution, who is sent to the titular dystopian city on a series of missions by the Outerlands. He searches for the Outerland’s missing agent Henry Dickson and he’s also there to capture or kill the creator of Alphaville, Professor von Braun. Caution’s aim is to destroy Alphaville and its dictatorial computer Alpha 60 — a sentient computer system created by von Braun that controls all of Alphaville. Alpha 60 has outlawed free thought and individualist concepts like love, poetry, and emotion in the city, replacing them with contradictory concepts or eliminating them altogether. 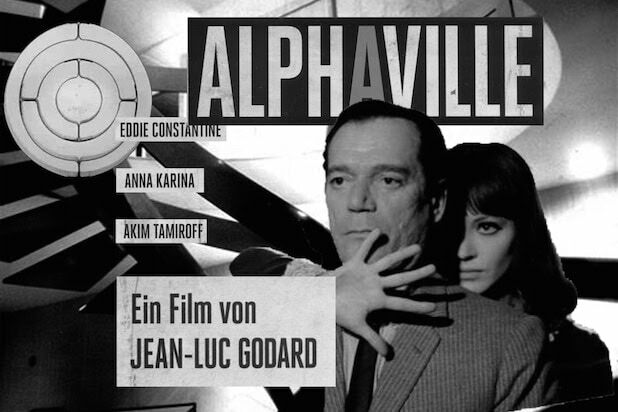 Hailing from legendary French filmmaker Godard, the original “Alphaville” blended science fiction with classic film noir, and starred Eddie Constantine as Caution and Anna Karina as von Braun. Reyes is a director in his own right who used Byers as his cinematographer on “Illegal Tender” and “The Ministers.” When Byers optioned the rights to “Alphaville” from Godard with his own money, he commissioned Reyes to write the screenplay. The “Alphaville” remake will present a fresh take on the story that aims to reflect what’s happening in today’s political climate, Reyes told TheWrap. Reyes is represented by manager Lisa Nunziella and attorney Chris Perez at Donaldson & Callif, while Byers is repped by APA.